AMC’s ‘yet-to-be-titled’ companion series of it’s number one show The Walking Dead is off to a solid start with the network ordering straight up – two series right off the bat. 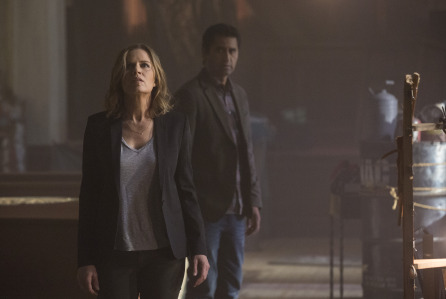 Set in Los Angeles, the unnamed show will focus on a new set of characters, looking at the onset of epidemic that wiped out millions of people and turned them into zombies with the shows first season set to consist of six hour long episodes premiering on AMC in late Winter (probably August). The series will star Cliff Curtis (“Missing,” “Gang Related”), Kim Dickens (Gone Girl, “Sons of Anarchy”), Frank Dillane (Harry Potter and the Half-Blood Prince) and Alycia Debnam Carey (Into the Storm). Since it’s return three weeks ago, The Walking Dead has been holding it’s massive 16+ million viewers on a weekly basis for it’s fourth season, and it’s follow on show The Talking Dead is even managing to hold around 5 million viewers. Locally, the show, which is aired on FOXTEL’s FX channel, is bringing in around 220,000 viewers, making it the networks biggest audience. 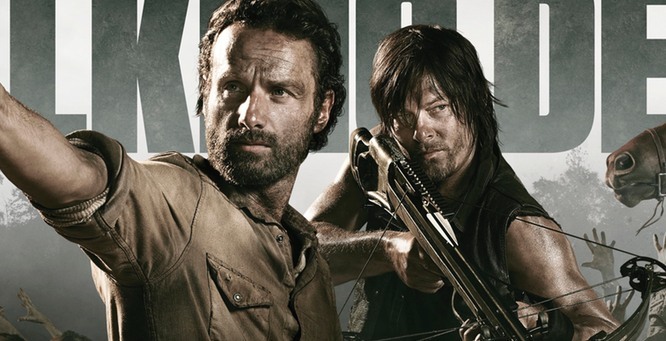 Walking Dead Season 4 News plus Spin-off News! You know I love me some Walking Dead news! Season 4 is now less than a month away, and we (me included) are literally chomping at the bit to get our hands on as much information as possible as to what to expect for this exciting fourth season. First off, we’re getting a new major character, and she’ll be played by a very familiar face! Christian Serratos (Angela Weber from the Twilight series) is joining the show as Rosita Espinosa, a gorgeous woman who resorted to prostitution as a way to survive in the zombie apocalypse. Rosita, who is also featured in the Walking Dead comic book series, may also be joined by her comic companions Eugene Porter and Abraham Ford though no word if that’s actually happening. It’s been reported she’ll be a recurring character during season 4 with an option to become a regular character for season 5. It’s been hinted at, that the spin off series will be more of a companion series and will be set in the same time and world as The Walking Dead but will feature a new cast of characters. While we’re on the topic, to get you excited, check out this new teaser trailer for the season 4 première! The Walking Dead returns Monday October 14th on FX!